“A former priest who accessed indecent images of children via video conferencing equipment was caught by the US Department of Homeland Security, a court heard. Thomas Wood, 55, admitted two counts of making indecent images of children and possessing indecent images of children. At Liverpool Crown Court on Wednesday, Wood, formerly of Lydiate, Merseyside, was given a three-year community order. He is no longer a priest, the Roman Catholic Archdiocese of Liverpool said. The Recorder of Liverpool, Judge Clement Goldstone QC, also imposed a Sexual Harm Prevention Order on Wood to last seven years. 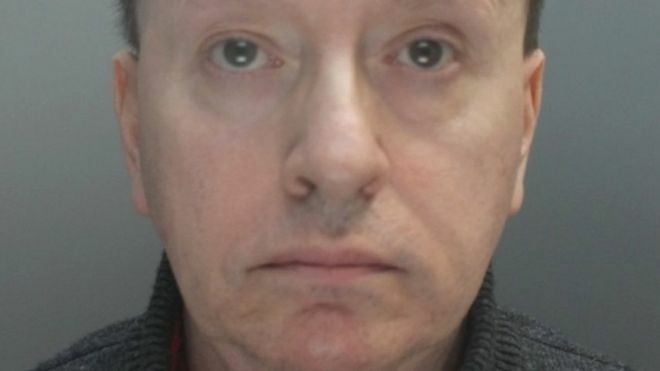 The Crown Prosecution Service said Wood accessed indecent images of children on his tablet computer via a video conferencing tool called Zoom. This enables one user to stream content to everyone in the “virtual room”. Wood was caught when Merseyside Police arrested him at Our Lady’s Catholic Church in Southport Road in Lydiate on 1 March 2017. Examination of his phone and computer hard drive revealed he had used the site several times. His offences came to light after a US-led international investigation into paedophiles’ use of video conferencing facilities. The UK’s National Crime Agency was told of his offences in February 2017 by US investigators who had recorded his Zoom sessions on several occasions in 2015. Wood claimed he had no sexual interest in children and had only accessed the site to meet other men. Chat logs on his smartphone and computer hard drive showed his sexual interest in children, however. Senior prosecutor Victoria Colvin said Wood had been a popular parish priest before his offending came to light, adding, “his reputation is now in tatters”. A Liverpool Archdiocese spokesman said there was no evidence Wood had sexual contact with any children.